Contact dermatitis almost always happens from touching the plant, producing a stinging rash. The herbal antidote for nettle stings is yellow dock or plantain, which are usually found growing in the same vicinity. Rub a fresh leaf of either plant over the area of the nettle sting. Do not use during pregnancy as nettle can stimulate contractions. Nettle is a perennial plant, reaching to five feet in height, producing lance-shaped leaves and green flowers with yellow stamens. The common nettle is one of some 500 species that can be found growing in temperate regions throughout the northern hemisphere, southern Africa, the Andes, and Australia. Young shoots are picked in spring for use as a tonic and vegetable. The aerial parts are harvested while flowering, and the roots are unearthed in the fall. It is said that Caesar's troops introduced the Roman nettle (U. pilulifera) into Britain because they thought that they would need to flail themselves with the plant to keep warm and, until recently, "urtication," that is, beating with nettles was a standard folk remedy for arthritis and rheumatism. 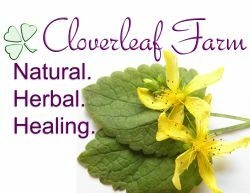 The ancient Greeks used it to treat coughs and arthritis. Dioscorides, the 1st century Greek physician, listed a range of uses for nettle, including the fresh, chopped leaves as a plaster for septic wounds, the juice for nosebleeds, and the cooked leaves mixed with myrrh to stimulate menstruation. The Aztecs made medicinal use of the several species native to Mexico. The Aztec Herbal of 1552, recommended sniffing a mixture of crushed nettles in milk to stop a nosebleed. It also prescribed a combination of nettles crushed in water and boiled as a poultice for arthritis. The plant has long been valued for its sturdy stem, similar to flax and hemp, which can be used to make fabrics ranging from fine linen to burlap and rope. Native Americans used it to treat bronchitis and other respiratory problems and for digestive problems, urinary tract disorders, diarrhea, and gout. Research into nettle root in the US, Germany, and Japan has established its value in treating benign prostate hypertrophy, or enlargement. Research in Germany indicated that nettle inhibits benign prostatic hyperplasia (BPH) in mice, although they were not sure how this worked. In Japan, similar experiements suggested that steroids and other components in the roots inhibited prostate cell growth and metabolism. The "stinging" comes from its histamine and formic acid content found in the hairs of the stems that trigger the familiar allergic skin response. 5-HTP has been found to reduce muscle and joint pain. Infusions are taken to stimulate the circulation and to cleanse the system in arthritis, rheumatism, gout, and eczema, as well as to increase milk flow in nursing mothers. Fresh shoots make a revitalizing spring tonic and are often used just as a vegetable. Tinctures are used in combination with other herbs for arthritic disorders, skin problems, and heavy uterine bleeding. Compresses soaked in diluted tincture are applied to painful joints, sprains, neuralgia, tendinitis, or sciatic areas. Ointments are used on hemorrhoids and eczema. Washes are applied to burns, insect bites, and wounds. Juice from the liquidized plant makes a good tonic for debilitated conditions and anemia and, oddly enough, to soothe nettle stings. It is also prescribed for cardiac insufficiency with edema. Powdered leaves are inhaled as a snuff for nosebleeds. Decoctions from the root are used as a rinse for the hair to treat dandruff, falling hair, and as a general conditioner. It is also useful as a diuretic and in treating some prostate problems. Capsules of the root are taken for heavy menstruation. Nettles are used as a cleansing spring tonic and a nourishing vegetable if gathered when the leaves are young. The plant takes minerals from the soil, making them a good remedy for anemia; and, with the high vitamin C content, the iron in the herb is easier to absorb. Nettles are used to clear uric acid from the system relieving gout and arthritis. Its astringency is valuable in stopping bleeding from wounds, nosebleeds, or heavy menstrual flow. Today, nettle is used for a variety of conditions, including hay fever, arthritis, anemia, and even some skin conditions. It is especially useful when there is poor kidney function and fluid retention is seen. In Germany, because of its diuretic action, nettle is used to treat high blood pressure. Nettle has become more popular in the US recently, proving to be an effective remedy for the symptoms of hayfever. It is also used to reduce symptoms of an enlarged prostate (BPH),especially in combination with saw palmetto, (which in turn, works well with pygeum for the same condition.). Consuming a tea made of nettle leaves has been shown to increase the flow of urine, which may help prevent kidney stones and ease symptoms of an enlarged prostate. However, it should be noted that nettle tea and other compounds do not actually shrink the prostate gland, but only relieves symptoms associated with its enlargement, especially by increasing the flow and volume of urine. The Annual Nettle (U. urens) is used in similar ways to the common nettle, including homeopathic preparations.